OCBC Bank has appointed former Deutsche banker, Vincent Choo Nyen Fui, as its executive vice president and chief risk officer with effect from August 1, 2014. 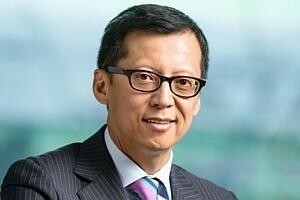 Mr Choo, 51, will take over from Gilbert Kohnke, who will remain with the bank till September 30, 2014 to ensure a smooth transition. Mr Choo was a managing director and Asia Pacific chief risk officer at Deutsche Bank, where he spent 20 years in various roles including head of market risk management for Asia Pacific and head of new product approval for Asia. He holds a Master of Arts in Eocnomics from the University of Akron. Mr Kohnke has been OCBC's head of group risk management since September 2005. He has led the group in developing a strategic architecture to comply with Basel II and III rules. OCBC was named the Best Risk House in Asia by Asia Risk last year. OCBC's chief executive officer, Samuel Tsien, thanked Mr Kohnke for his contributions:''We would like to thank Gil for his many contributions in laying a strong risk management foundation on which we have grown our business significantly. We wish Gil well in his future endeavors." Mr Tien added that given the increased volatility and uncertainty in the operating environment banks face today, banks are intensifying their focus on risk management. "The ability to manage risks well has become a strategic component of the business. Vincent's extensive experience and leadership qualities will no doubt make him an important addition to our senior management team."